A new music video from photographers Broomberg and Chanarin captures the visual eloquence of signing. Since their days as editors of Colors magazine, photographers Adam Broomberg and Oliver Chanarin have become known for their investigative books which explore the language of modern conflict and human consciousness, writes Faye Dowling. Working as archivists and curators, their projects combine found imagery and historical texts to examine the power and limitations of photography. Their book War Primer 2, based on Bertholt Brecht's seminal 1955 book Kriegsfibel, won them the Deustche Börse Photography Prize in 2013. 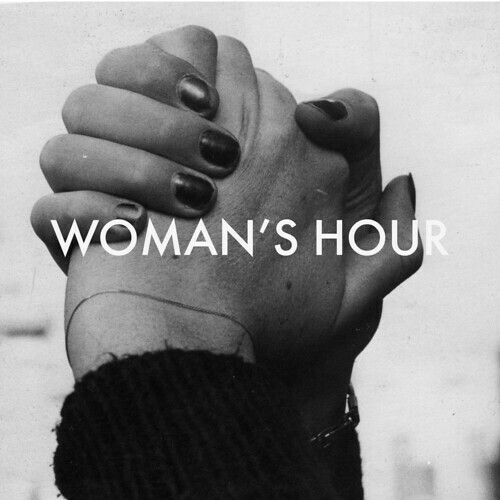 As part of a collaboration with Woman’s Hour, the London-based four piece band fronted by singer Fiona Burgess, Broomberg and Chanarin have turned their archivists’ eyes to music. Initially inspired by the work of the German portrait photographer August Sander, their black and white single covers for the band feature found images taken from a handbooks such as self-defence manuals or instructional booklets. The striking series explores a shared fascination with instructional and didactic imagery, re-contextualising found images or artworks, such as in their 2013 video ‘Darkest Place’, a take on Vito Acconci’s 1971 Pryings. 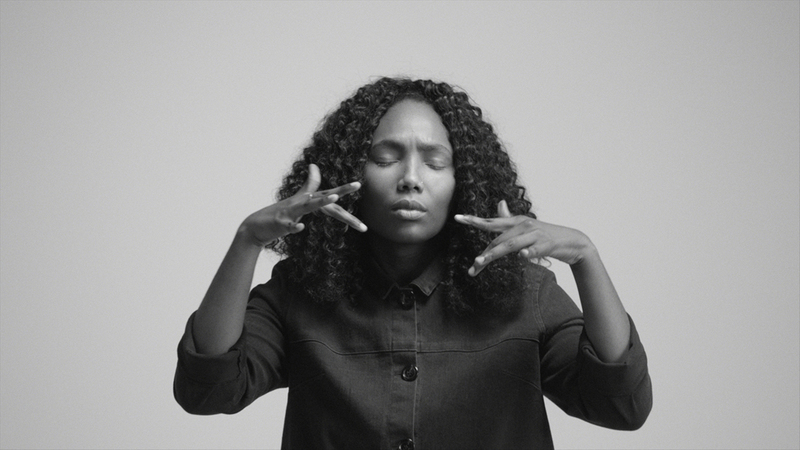 The new video for Woman’s Hour’s single ‘Her Ghost’, just released on Secretly Canadian, explores the emotive choreography of sign language. 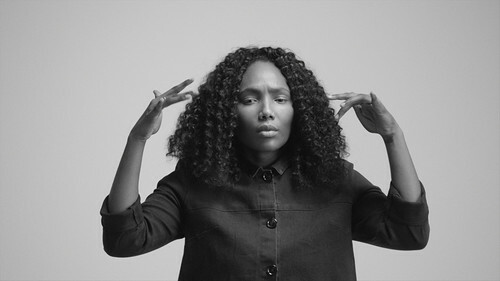 Shot as a moving ‘portrait’, the video is scripted by the gestures and expressions of the deaf actor, Vilma, as she signs her personal interpretation of Burgess’s lyrics. 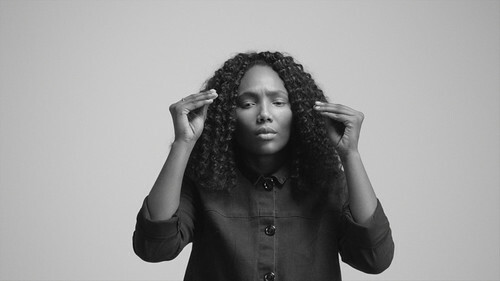 As words and choruses repeat, the video becomes almost hypnotic and meditative, highlighting the distinct art of expression involved in sign as linguistic (and visual) communication. Faye Dowling, art buyer and curator, London. Broomberg and Chanarin’s book Holy Bible was published by MACK in June 2013. The book was co-published by the Archive of Modern Conflict. 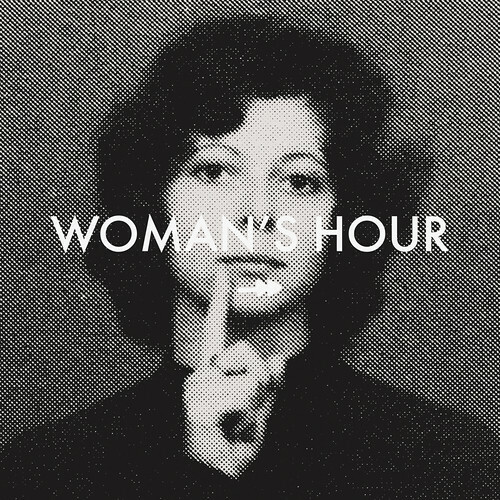 Woman’s Hour’s single ‘Her Ghost’ is out now on Secretly Canadian.